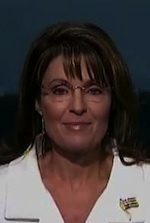 You are here: Home / WaPo: Another Palin Scandal? Umm …not so much. / News / WaPo: Another Palin Scandal? Umm …not so much. 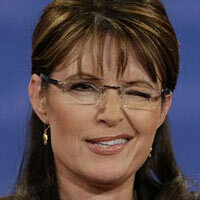 WaPo: Another Palin Scandal? Umm …not so much. Instapundit headlines this beauty. The Washington Post has an interesting little story on Sarah Palin and reimbursements while Alaska Governor … except as David Bernstein points out … not so much. You see David does the digging that most American reporters today just won’t do. You have to read the article carefully to figure this out, but what the story ultimately reveals is that Palin (a) billed the state for most expenses allowed by law, including per diem when she stayed in her own home (her “duty station” was the state capitol of Juneau) in Wasilla; (b) didn’t bill the state for other expenses, when she could have done so lawfully, such as per diems for her children; and (c) spent a lot less money on expenses than did her predecessor, especially on travel and by ridding herself of the state’s personal chef. But wait … there’s more … it turns out the per deim was also less than allowed by law and wasn’t for lodging but expenses to and from the home in Wasilla … finally make sure you follow down to the update where a Democratic colleague claims a State Commissioner was forced to resign because of similar actions … not so much again. One wonders what they teach these J-School puppies in college … or if these little news hounds bother going to class. Perhaps a little newspaper across the snout … no wait … you don’t train a dog that way. https://radioviceonline.com/wp-content/uploads/2011/02/rvo-logo-4-300x100.jpg 0 0 Jim Vicevich https://radioviceonline.com/wp-content/uploads/2011/02/rvo-logo-4-300x100.jpg Jim Vicevich2008-09-09 07:57:242008-09-09 07:57:24WaPo: Another Palin Scandal? Umm ...not so much. Sarah Palin did not leave Alaska government "for no reason"
As pointed out on The Corner, apparently cutting spending by 80% just isn't enough to make one a fiscal conservative. I find it absolutely amazing what's happened to the so-called free press in the past 40 years. They were closet leftists in the 1960s. They came out of the closet — subtly — in the 1970s. They went not-so-subtle in the 1980s … after all, who was gonna protect us from Ronald Reagan? They went full bore-ga-ga lefty over the two Clinton adminstrations in the 1990s, and absolutely lunatic fringe over Bush II in this decade. Now they're clearly partisan, going after Gov. Palin with everything they've got and leaving Sen. Obama completely alone. I see two things here: (1) The press is scared to death Sen. Obama might not win, and (2) they'll say *anything* (no matter how distorted or outright false) to reinforce their fears in the public's mind. Anybody who's ever taken a journalism class in high school knows that opinion goes on the OpEd page, the front page and everything between is the place for facts. I find it hard to believe that the fundamental tenets of journalism are being trashed by bleached blonde talking heads; but it's happening. I see a backlash coming. Soon. Hopefully in time for November.